On the former ABB site, near the train station Oerlikon, lies the spectacular StageOne Event & Convention Hall. This venue impresses with its unique industrial character and offers best conditions to make your events unforgettable. Due to the diverse combinable rooms and in some instances eight meter high ceilings as well as the large variable stage, the set up on your event is nearly limitless. On a total area of 6,000 m2 for 2,000 people you find enough space to successfully realize your vision of a perfect event. Business as usual? Business events unusual! You are looking for an exceptional setting for your business event? The StageOne Event & Convention Hall with its visible steel construction and the large crane system offers a very special backdrop for your conferences, congresses, meetings and celebrations. Use the MainHall (1,167 m2, 8 m high) for your event with 240 to 650 people or 800 people at a standing reception. The MainHall is the centerpiece of this venue which is complemented by a spacious gallery with four air-conditioned seminar or workshops rooms and a lounge. The technical features include light and sound system, stage (12x4 m), screen and beamer. 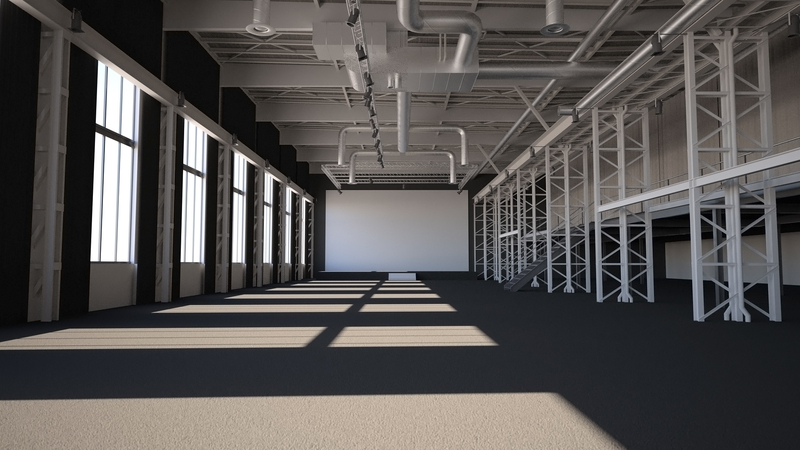 You may also use the convertible Sidehall (1,473 m2 / 8 m high) for up to 750 people at a seated or 950 people at a standing reception as well as the gallery with six air-conditioned workshop rooms. Are you planning a concert, a fair or a flea market? In the flexible and spacious premises of the StageOne Event & Convention Hall your major event has many possibilities. We gladly develop a concept with you. The basic equipment of furnishings, from chairs and tables to cloakroom, is already on site. You need more? No problem, we can take care of it! We organize the catering, the service staff, the menus and also the fitting entertainment program. The in-house caterer focuses on fresh and high-quality foods to enthuse you with culinary delights. Whether at a business event or at a wedding, the competent kitchen team spoils you with healthy snacks, rich buffets or a several course menu. Of course we consider the wishes and budgets of our clients. Our experienced partner smARTec takes care of the event technology and puts your individual occasion in the limelight. If you like historical venues then you will also enjoy the Chicago 1928 in Zurich-Oerlikon. Our event hall offers you the setting of a 1920s night club in which you may celebrate a private or business occasion with 24 to 184 guests.